Buffalo Lakeside Commerce Park (BLCP) is a newly-developed 'smart growth', urban commerce park on reclaimed waterfront land in Buffalo, New York with multi-modal transportation opportunities and excellent access to the interstate. 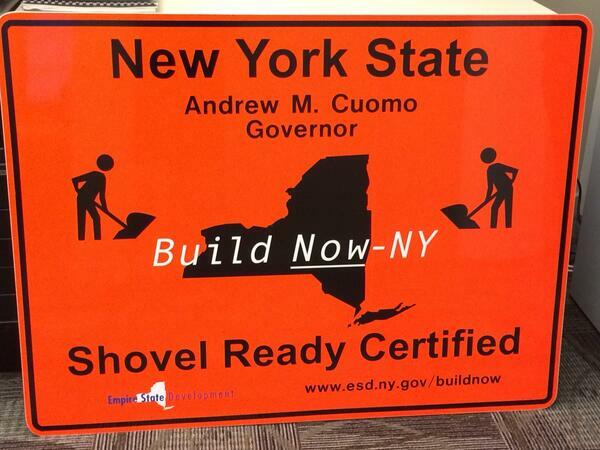 Announced in March 2014, BLCP is now a designated New York State Build-Now Shovel Ready Certified Site. This distinction was awarded to BUDC from the U.S. Army Corp. of Engineers, the New York State Departments of Environmental Conservation (DEC), Agriculture and Markets, and Transportation (DOT), and the State Office of Parks, Recreation, and Historic Preservation (SHPO), and New York State's Empire State Development. Click here for more information about BLCP. Ship Canal Commons is a new public park within BLCP in the City of Buffalo. Click above for more information. BLCP is an important component of a larger planning initiative, known as the South Buffalo Brownfield Opportunity Area (SBBOA). The SBBOA, which includes nearly 2,000 acres of land situated near the shores of Lake Erie and the Buffalo River is a project that seeks to strategically guide investments for the purpose of reclaiming former industrial land. Site specific plans for BLCP will be completed in concert with the long-term vision and goals of the SBBOA. Click above for more information.